Posted on April 5, 2019 at 9:42 am. 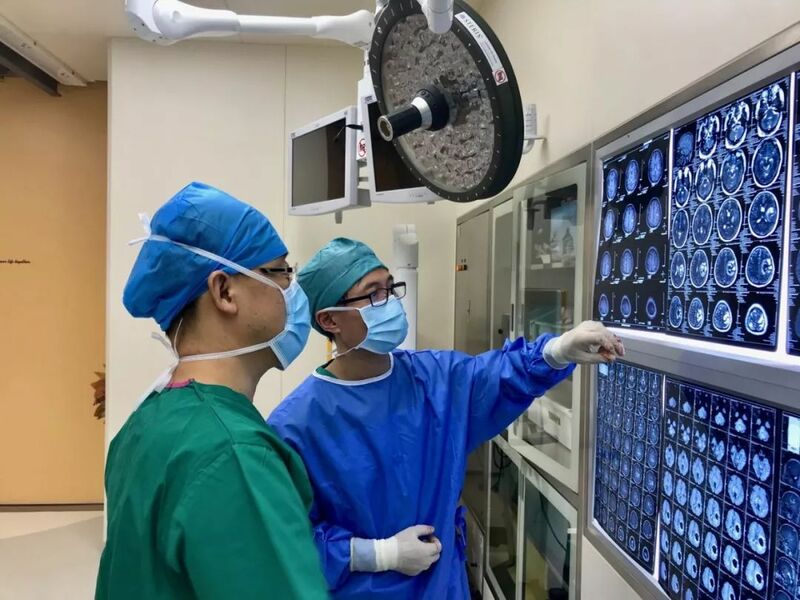 Beijing, China, April 5, 2019 — On the morning of March 1, 2019, Xuanwu Hospital Neurosurgery Department (China International Institute of Neuroscience, CHINA-INI) performed the first intracranial resection case under the guidance of a 3.0T high field intraoperative MRI system, which signifies the neurosurgery department of Xuanwu Hospital CHINA-INI has entered a new era of precision neurosurgery. 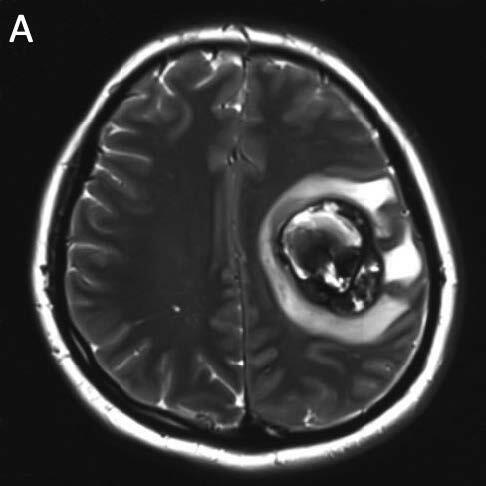 The principle of modern neurosurgical treatment for brain tumors is ‘the greatest degree of safe resection’. 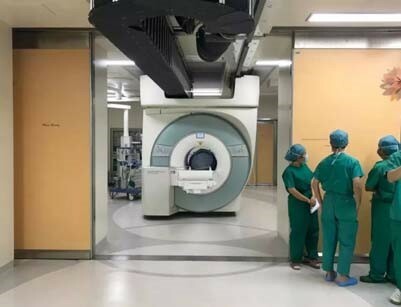 The high field iMRI system at Xuanwu Hospital Neurosurgery CHINA-INI has a moving magnet, which is safely separated from the operating room by an RF-shielded door. 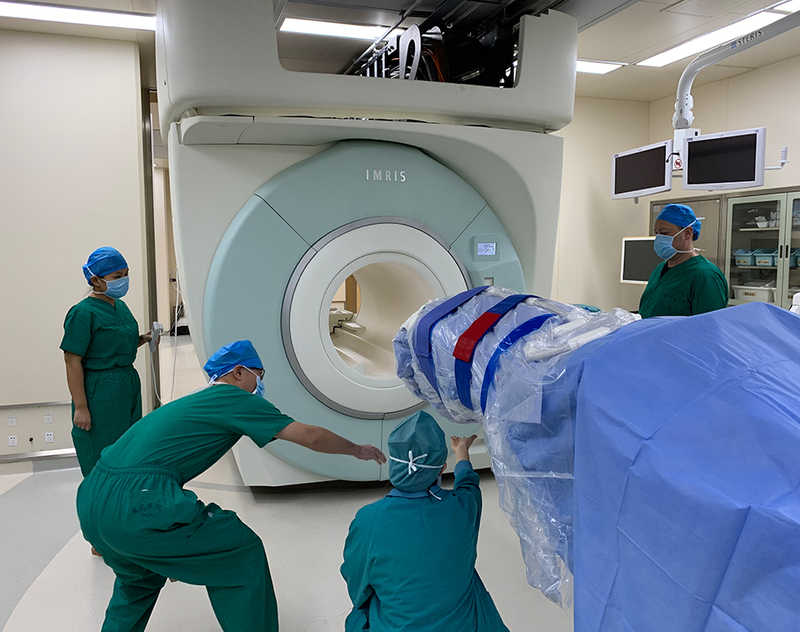 The magnet can be moved toward the operating room whenever necessary, assisting the surgeon in real-time to determine the degree of lesion resection and protect the important cerebral function. The lesion is adjacent to important motor-related nerve fiber bundles. The first patient for iMRI surgery showed one-sided dyskinesia and repeated seizures before operation. 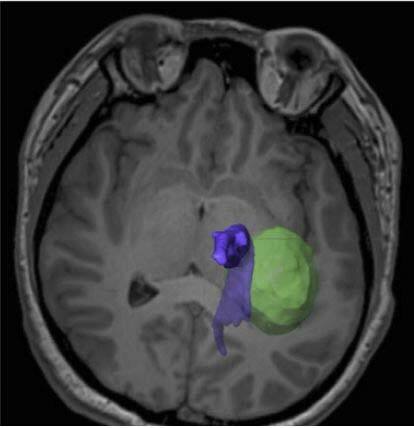 Imaging results indicated a left frontal cavernous vascular malformation. 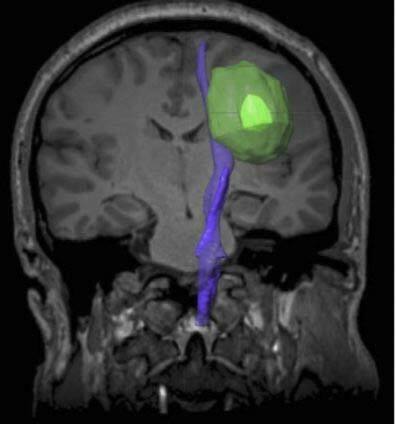 The preoperative plan of multimodality neuro-navigation indicated that the lesion was adjacent to and even partially destroyed important motor-related nerve fiber bundles. The advantages of the intraoperative MRI system are: the patient does not need to be moved and routine surgical instruments, microscopes, and navigation systems can be used, which ensures normal procedural operation and patient safety. High field MRI effectively guarantees high quality intraoperative images, and provides real-time guidance and precise positioning. 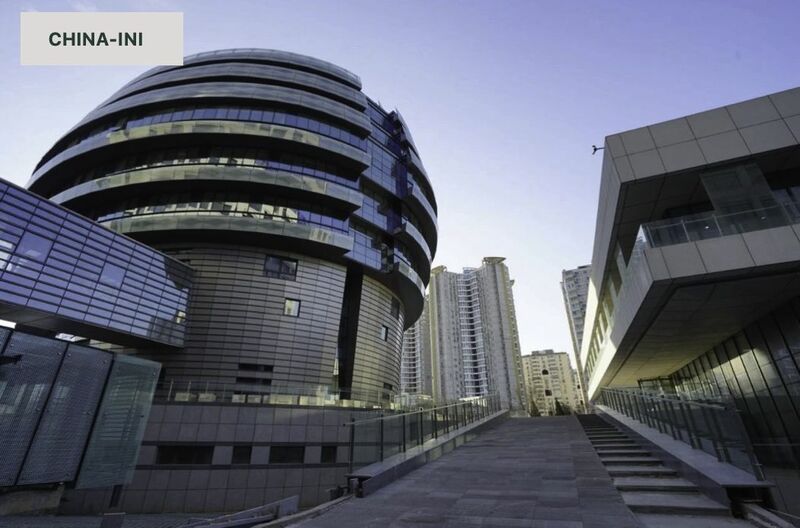 With the assistance of the Anesthesia and Nursing teams, Neurosurgery Chief Physician, Jie Tang, removed the cranial lesions with high field iMRI and a multimodality neuro-navigation system. 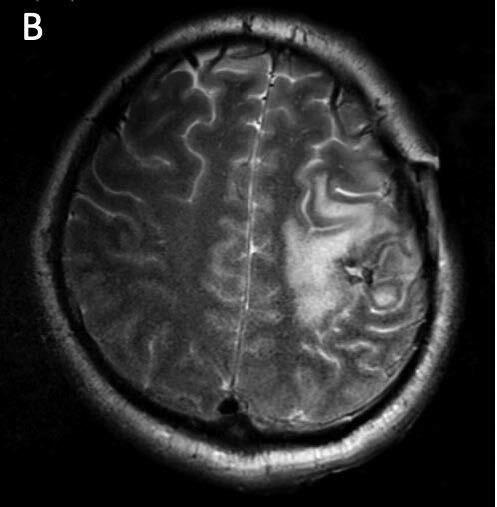 The intraoperative images indicated a total resection of the lesions and no neurological dysfunction was aggravated after operation. 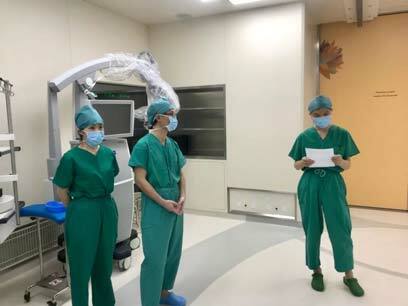 During the operation, with personal instruction from Professor Samii, President Guoguang Zhao, and Professor Feng Ling, and with support from Anesthesiology Director Tianlong Wang, and Chief Nurse, Ting Liu, Operating Rooms, we achieved the first iMRI case perfectly. Figure 3 Top left: Director Jie Tang introduces the patient’s condition to President Guoguang Zhao; Top right: Performing pre-scan safety check; Bottom left: Preparing for intraoperative scanning; and Bottom right: RF shielding door is opened, magnet is moved into the operating room. 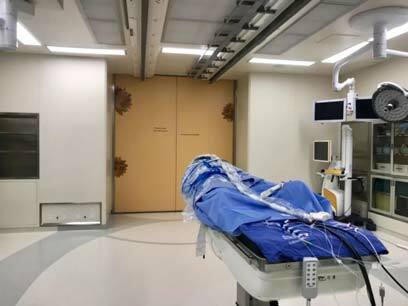 The intraoperative MRI system is an open platform with multidisciplinary intersections. 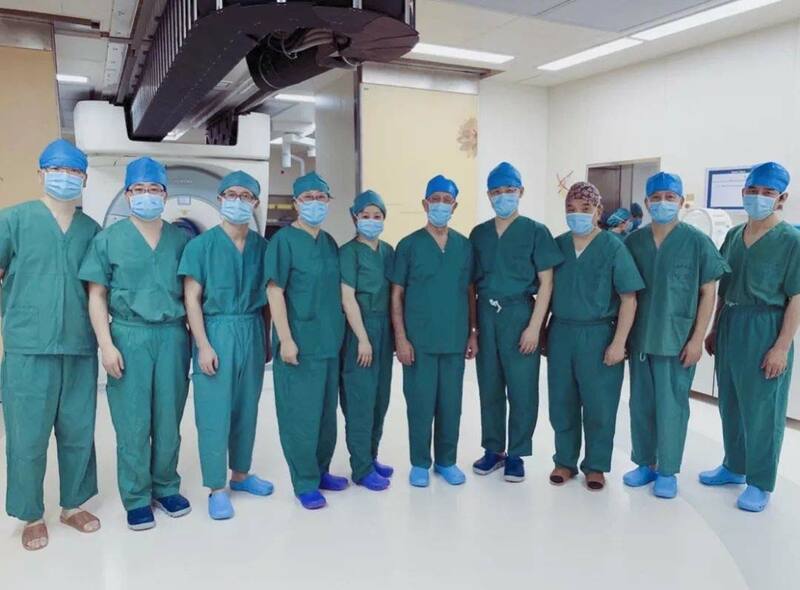 Figure 4 Professor Samii, President Guoguang Zhao, Professor Feng Ling, Chief Physician Jie Tang, Director Tianlong Wang, Chief Nurse Ting Liu, and the neurosurgical team commemorated the accomplishment of their first iMRI case at CHINA-INI.